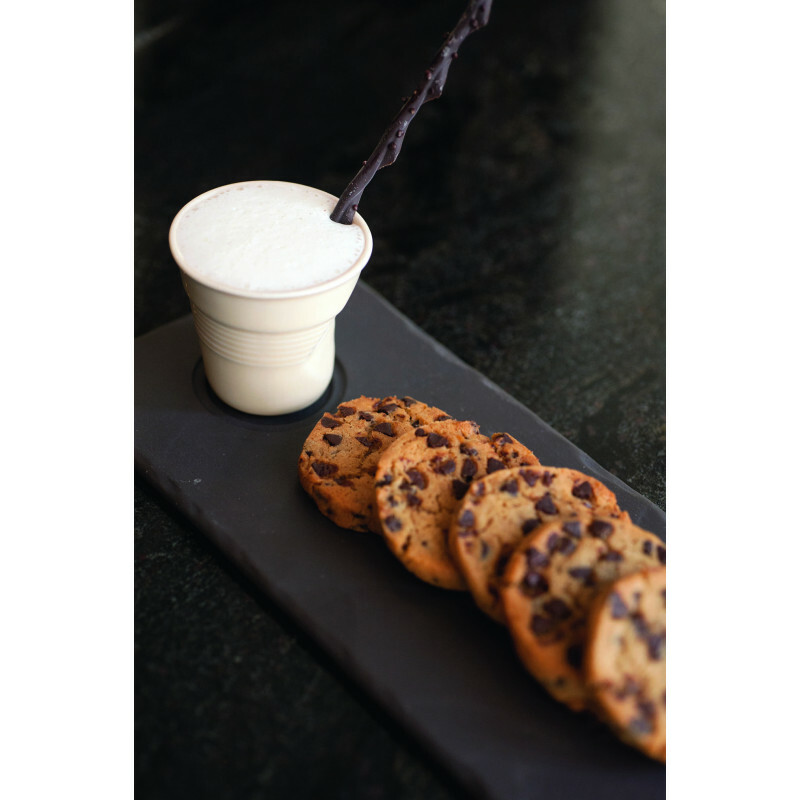 In our Basalt collection, we have some pieces of black porcelain, slate stone look that are ideal for cocktails, parties and serving purposes. Did you know that slate was very porous ? 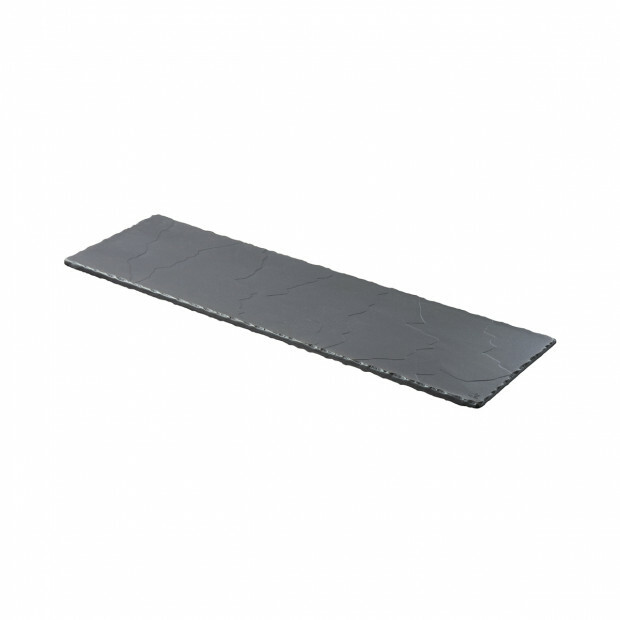 With Basalt, you have the appearance of the slate, with the benefits of the ceramic ! This nice long tray will be suitable to present in a very elegant way your cheeses or cold appetizers during your next party. You can match it with the mini bolw Basalt or play with colors with Crumple cups !